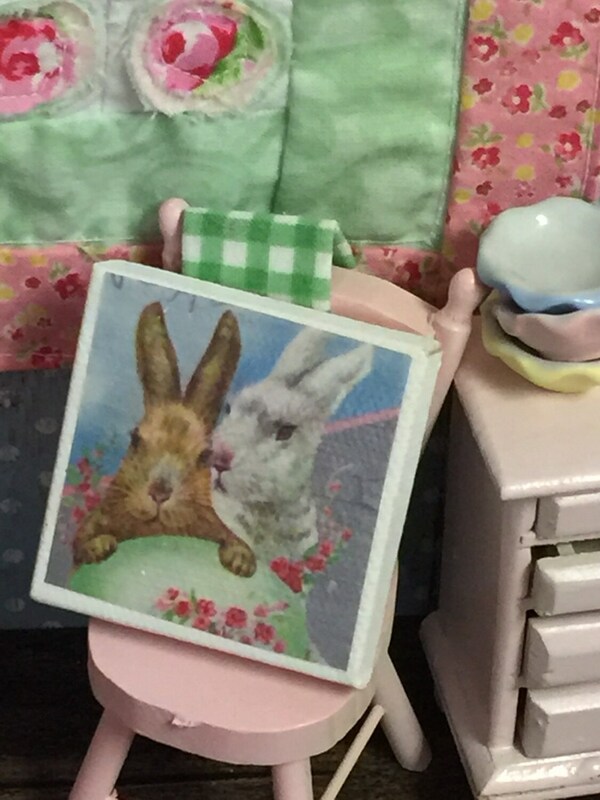 Spring Vintage Bunny Pair Canvas Miniature Sign Picture 2" x 2"
A white and brown rabbit makes up this spring picture. The pair have that vintage look. Soft design brings a pretty look to any spring decorating. 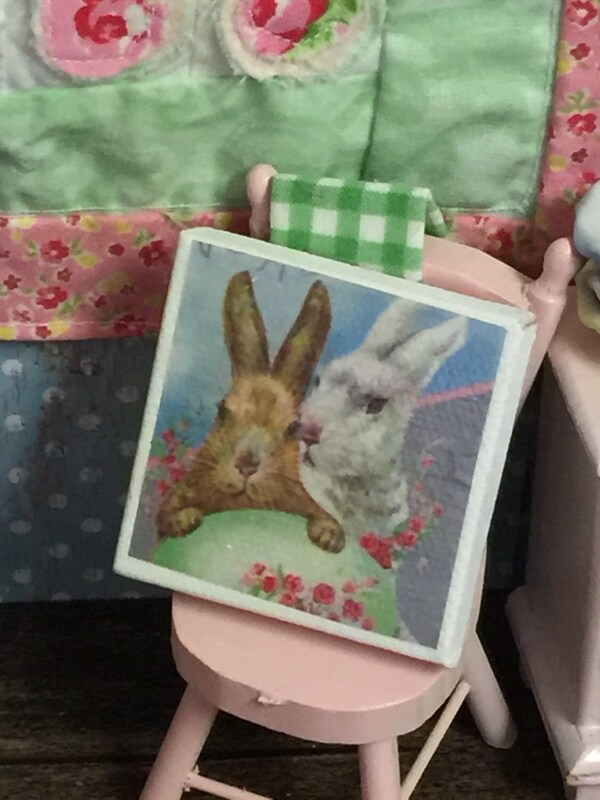 Canvas is 2" x 2". 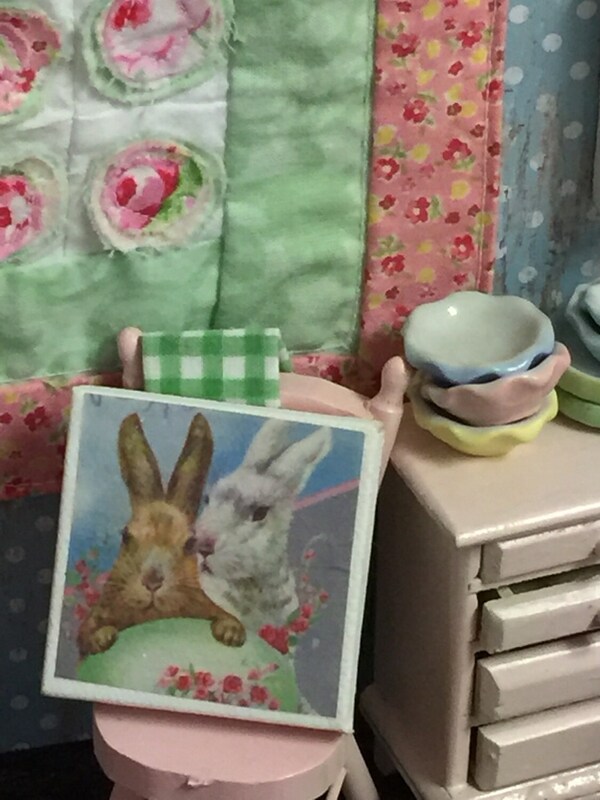 Copy of vintage picture is embellished onto this small canvas and the top coated for an extra layer. Precious!! 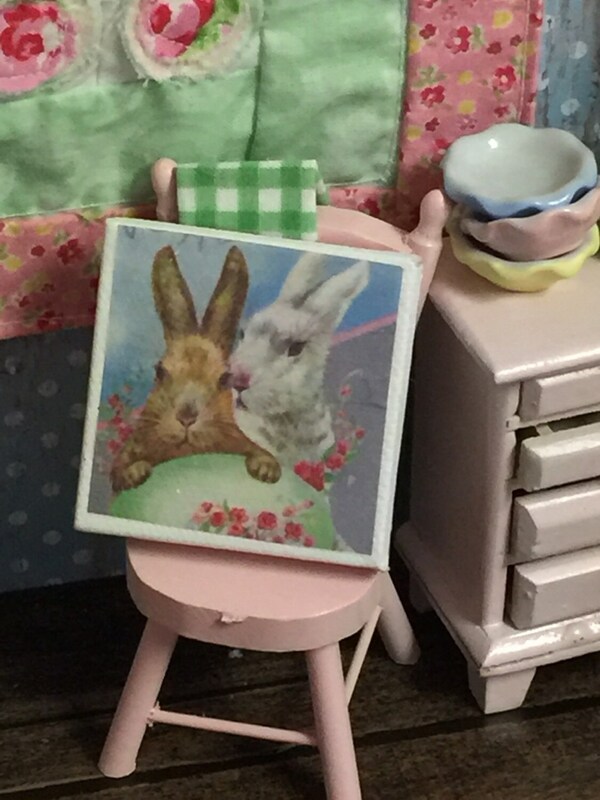 The cutest "Bunny picture" I have yet to see on ETSY. Thank you! !